In Pieria studios of Evilion Sea & Sun Hotels are comfortable and pleasant. 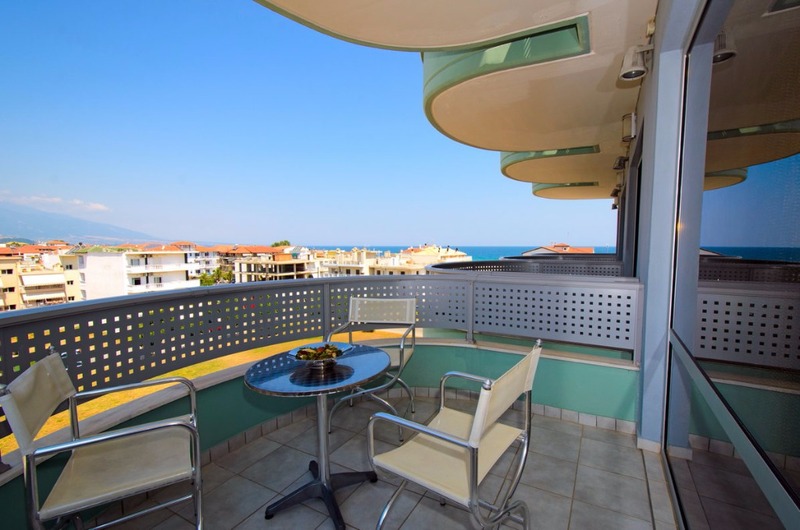 Opening to a balcony with a sea and mountain view, this air-conditioned studio includes a satellite TV, a kitchen with a stove and minibar and a bathroom with a hairdryer. Book now your room for a wonderful accommodation in Pieria! 1 extra-large double bed and 1 futon bed.